Services take place weekly – in your own garden or place in nature. Jean Eisenhower was ordained by the Universal Life Church* in 2006 when she was trained in “The Healer” healing modality. To contact Jean, please visit this page. 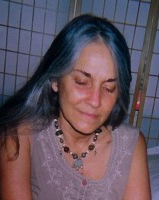 More about Jean’s spiritual (Christian/shamanic) history can be read here. * More on the ULC here. ** Why no marriage ceremonies? See here.